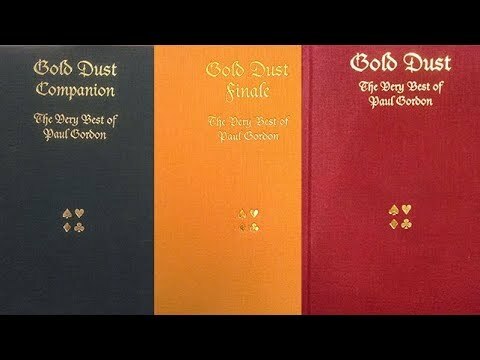 Gold Dust was four years in the making and was released in 2012. It's Paul Gordon's best writing, best production and best magic. It's a big book! Each and every trick really is a startler! This is the best of Paul's thirty-five years of creating; and all under one great-looking, foil-embossed hardback cover! There are tricks for every skill level; beginners through to advanced. Just watch a few video demos on the "videos" page. Gold Dust contains many new gems, too. And all the older material has been updated, re-written, changed and improved. Paul's writing is very easy to understand, too. And, most tricks are described in just one or two pages! 150 killer tricks - 352 jam-packed pages!